No matter how organized you are, you definitely know the pain of accidentally deleting an important file or losing a great idea, just because you reworked it many times over and over again. It’s frustrating and tiring at the same time. It can also cost you a lot more than just a few sleepless nights and a headache. Keeping a clear track of your workflow is just as important as delivering the final content. That is why we developed a new way to go back in time and get to the files you thought were long-forgotten. Allow us to introduce pCloud Rewind. You might be searching for documents from 3 months ago that were renamed or converted. What if you were editing the first drafts of your new photo, only to realize that you are not following your initial idea. Rewinding your account will show you a snapshot of all of the previous versions of your data. That way, it will be easier to recover files that were deleted by mistake, or overwritten way too many times. Let’s say you had a folder that your university professor shared with you, but your access stopped at one point. When you Rewind to a period before the share was stopped, you can recover all of the lost shared files. With pCloud Rewind, you can recover all of the files you deleted for one reason or another, as long as they are still in the Trash. One thing you should note is that once you Rewind your pCloud account, you will also be able to see permanently deleted files as part of the changes. However, you won’t be able to restore them as they are forever removed from our servers. 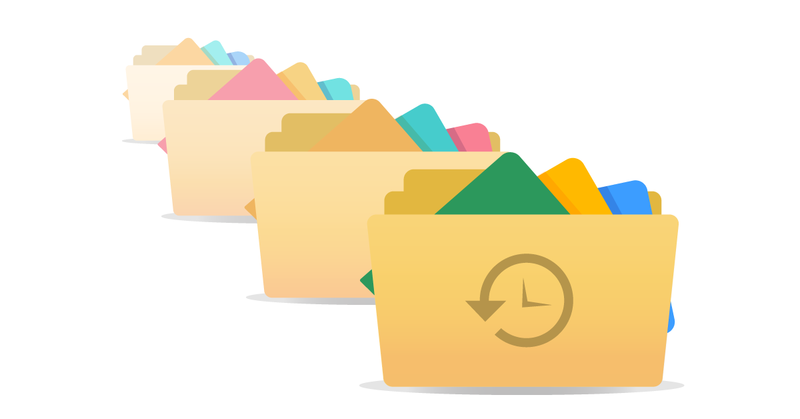 We only keep a record of the names and file types of permanently deleted content, in order to preserve your file structure for the date and time you are viewing your account for. Step 2: Go into Rewind, choose a time and date (up to 30 days in the past) – and Rewind! When you Rewind your account, you will see a snapshot of how your account looked like at the specific time and date. From there, you are free to download or restore everything in pCloud (at the moment, only possible for Premium and Business users) . You just have to mark the content you want to recover and click Restore. After you do that, these files will be saved in a folder, named “Rewind” in the main directory of your file structure. pCloud Rewind is a great way to go back in time and rediscover all of your great content. Easily track your creative workflow and develop great ideas with pCloud!